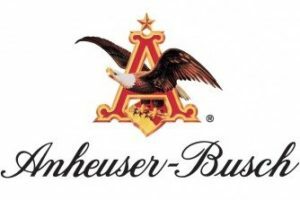 For 165 years, Anheuser-Busch has pledged allegiance to America and its people. They take great pride in our standing as one of the country’s most iconic companies, and hold precious the responsibility to brew great-tasting, high-quality beers. AB is 18,000 colleagues strong—spread out across the country, but united by a passion for great beer. They make major investments each year in our breweries and facilities, and in cutting-edge scientific research. Why? Because they are never satisfied. Embracing new technologies and innovations to brew, package, transport and deliver their more than 100 brands in the most environmentally- sustainable way possible. Anheuser-Busch brings the same dedication and commitment we have for brewing great American beer to supporting the communities we call home. From showing up when disaster strikes, to making communities safer and more responsible, to being good stewards of land and water, their Dream is unwavering. Since 1955 Schott Distributing has shared this same dedication in service to our communities of Rochester, Austin, Winona, and Albert Lea throughout an eight county territory in southeastern Minnesota and delivering top quality to our customers. Seriously love strawberry and want to kick it up a notch? 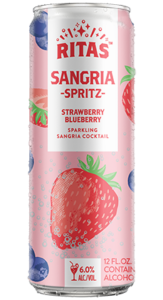 RITAS Strawberry Blueberry Sangria Spritz will have you feeling like you’re sipping sangria in Spain. It’s a fruity, fizzy mix of sweet strawberry and juicy blueberry – skip the wine. The perfect pair – orange and pear come together to become the crisp, citrusy, fizzy sangria-inspired Spritz of your dreams. 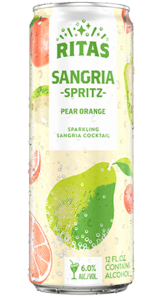 RITAS Pear Orange Sangria Spritz is all of the fruity flavor and none of the squeeze – grab a can and start sipping. Just Peachy! 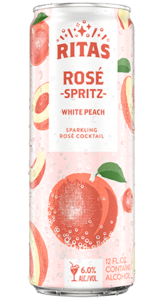 RITAS White Peach Rosé Spritz has it all – the sweetness of a Georgia peach, the fun of #roséallday, and no corkscrews or wine required. Crack open the can, pour over ice, and enjoy. Refreshing, smooth, and delightfully tropical. Pour it in a coconut, and it'll really feel like vacation in a can. Coco-Nut-Rita is available in 25 fl oz cans only. Meet the newest seasonal entrant from the Lime A Rita family, Passion Fruit A Rita- here for the summer only! We hope you enjoy Passion Fruit-A-Rita! 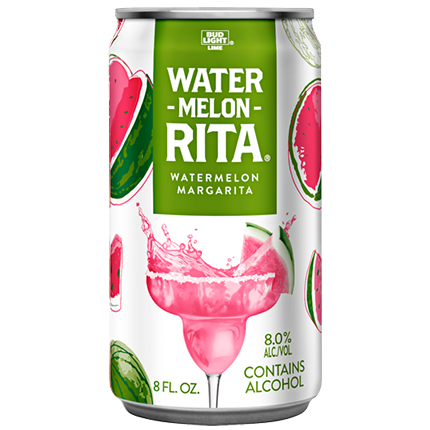 Say what’s up to Water-Melon- Rita! If you prefer a watermelon margarita that has all of the juiciness and none of the seeds—this Rita is for you. There is always room for more flavor in your life. Lemon-Ade-Rita has the great taste of a lemon margarita with a twist of Bud Light Lime for a delightfully refreshing finish. There's no need to spend time mixing and blending to prepare a lemon-flavored beer margarita. ABV: 8.0% Style: Flavored Malt Beverage Availability: Year Round This bold new Margarita with a Twist is 8% ABV and perfectly balanced to deliver authentic margarita flavor and a delightfully refreshing finish. Bud Light Lime Mang-o-Rita has the delicious taste of a Mango margarita with a refreshing twist of Bud Light Lime. Mang-o-Rita is best enjoyed over ice and is the perfect addition to any outdoor occasion, especially as the weather heats up. Hurricane High Gravity offers a very full-bodied flavor with a smooth, sweet finish. Hurricane High Gravity is brewed with quality hops and extra barley malt to produce its full-bodied flavor. Brings together a mix of two favorites - great strawberry margarita taste with the refreshment of Bud Light Lime to create something original and incredibly drinkable. Just pop, pour over ice and enjoy! Missouri - Flavored Malt Beverages- 8.0% ABVMeet the newest seasonal entrant from the Lime A Rita family, Passion Fruit A Rita- here for the summer only! We hope you enjoy Passion Fruit-A-Rita!